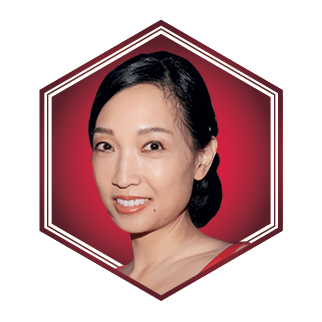 A graduate of Yale University and Columbia Business School, Ann is the co-founder of Punch Detox and serves on the boards of the HK Adventist Hospital Foundation and Focus. The wife of Benjamin and the mother of three children, she loves to cook, garden and go on long walks with friends, family and her two rescue dogs. Benjamin Cha Chief executive of Grosvenor Asia Pacific; married to Ann and has two sons and a daughter.